Earlier this year, Animal Collective dropped Painters, an EP featuring songs from their Painting With album sessions. Now, one of its members, Noah Lennox, aka Panda Bear, is gearing up to put out an EP of his own. Titled A Day With The Homies, it’s a vinyl-only collection due out January 12th through Domino. The 12-inch is comprised of five tracks with names such as “Part of the Math”, “Shepard Tone”, and “Nod to the Folks”. It serves as the follow-up to his 2015 EP, Crosswords. Read Lennox’s full statement below, followed by the artwork and tracklist. “It’s been my perception that these things tend to homogenize experience so I hope you’ll forgive me if I don’t outline, in any specific way, the many choices involved in its creation. I appreciate your role as filter or translator, and by withholding my own blueprints for the album, I mean to encourage and cultivate your part in its trip. It’s not often anymore I find something specific to my life that feels worthwhile setting to song for others to consume. It’s a tough sell convincing myself that my own troubles warrant as much attention as those we all share. The strokes of the messages themselves are broad enough, then, that I think anybody can find a familiar face, if they care to look. The lion’s share of the noise is centered, or nearly, so both speakers get a taste. 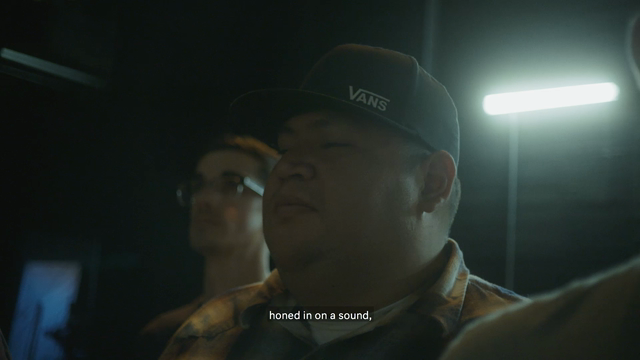 This is another nod towards power, but it also means HOMIES doesn’t work in the same way through headphones as it does out in the air.